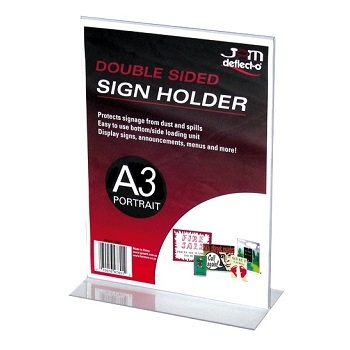 Portrait style A3 Menu/Sign Holder with double sided display for maximum impact. Size/Style - A3 Portrait Stand Up. Flat T-shaped base for stability. Portrait style A4 Menu/Sign Holder with double sided display for maximum impact. Size/Style - A4 Portrait Stand Up. Landscape style A4 Menu/Sign Holder with double sided display for maximum impact. Size/Style - A4 Landscape Stand Up. 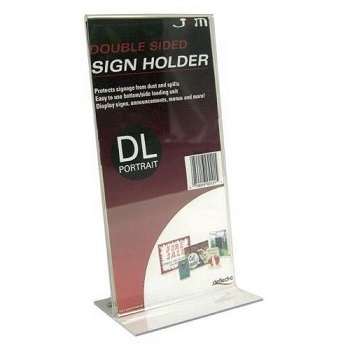 Portrait style DL Menu/Sign Holder with double sided display for maximum impact. Size/Style - DL (1/3 A4) Portrait Stand Up. 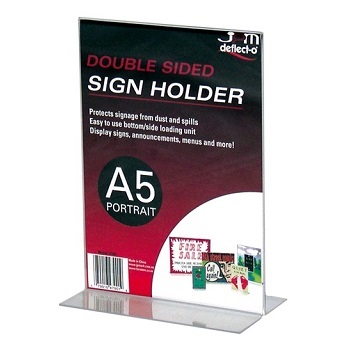 Portrait style A5 Menu/Sign Holder with double sided display for maximum impact. Size/Style - A5 Portrait Stand Up. 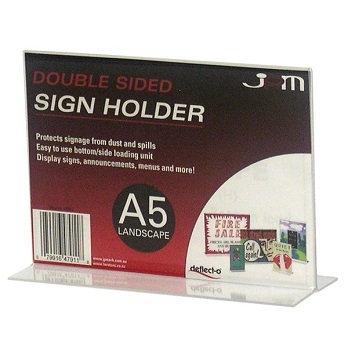 Landscape style A5 Menu/Sign Holder with double sided display for maximum impact. Size/Style - A5 Landscape Stand Up. 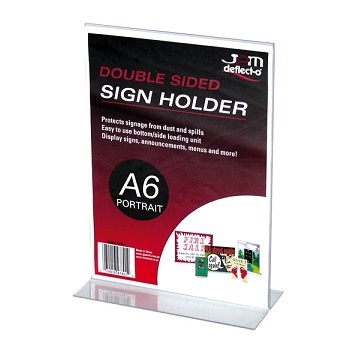 Portrait style A6 Menu/Sign Holder with double sided display for maximum impact. Size/Style - A6 Portrait Stand Up.